Bestgo Lithium Battery Pack for EV pouch cells are riding the crest of a new way of thinking with regards to energy storage. Lithium pouch cells are the new frontier. Bestgo's new pouch cells are the current ultimate in weight, flexibility, and life. 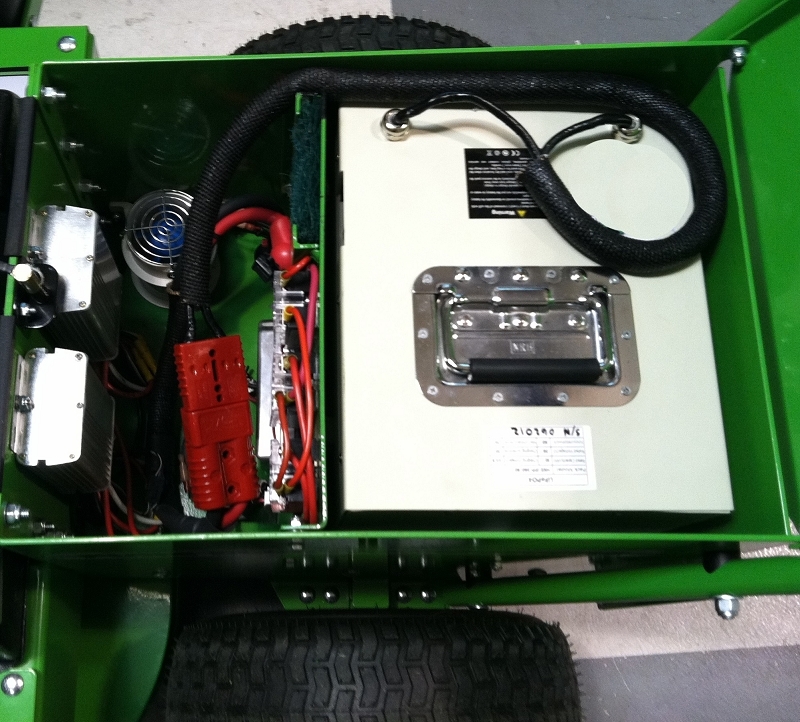 Our company is getting glowing reports from a variety of customers who are using pouch cells in robotics, yard maintenance equipment, undersea vehicles and research products, and other applications where they are replacing small engines in a variety of applications. Bestgo's factory has a production capacity of over a million cells a month. From a very basic level, here are some of the reasons that we like Lithium Battery Pack for EV pouch cells. Bestgo offers completely assembled battery packs with the BMS built in as standard battery module. With modules customer can assemble them in a parallel configuration for increased capacity, or in a series configuration for a voltage increase. If needed, the BMS can offer an output cable for communication. These battery modules can be charged separately, or charged as a whole battery pack if assembled. Bestgo uses 10Ah LiFePO4 Pouch cells to build the battery modules, these cells can offer 3C continuous and 5C burst discharge current and also can accept fast charge up to 1C. These cells have very long cycle life over than 2,000 times if discharged no more than 80% DOD per cycle. Cells also have amazing consistency and identical performance to make sure battery owns high reliable quality. Bestgo can offer battery modules fully assembled into complete battery packs. The dimension and weight of each module can be adjusted to fit your space and weight requirements. Bestgo will install a properly sized BMS for each module, this BMS system will monitor the whole system and can be divided with communication equipment so that the use can monitor and control the balance, charging and discharging of the entire pack. The module will have a fuse, indicator lights, a relay outlet for signal and two cables attached to the Positive and Negative poles of the battery pack. The BMS will supply a balancing function during the charging state. 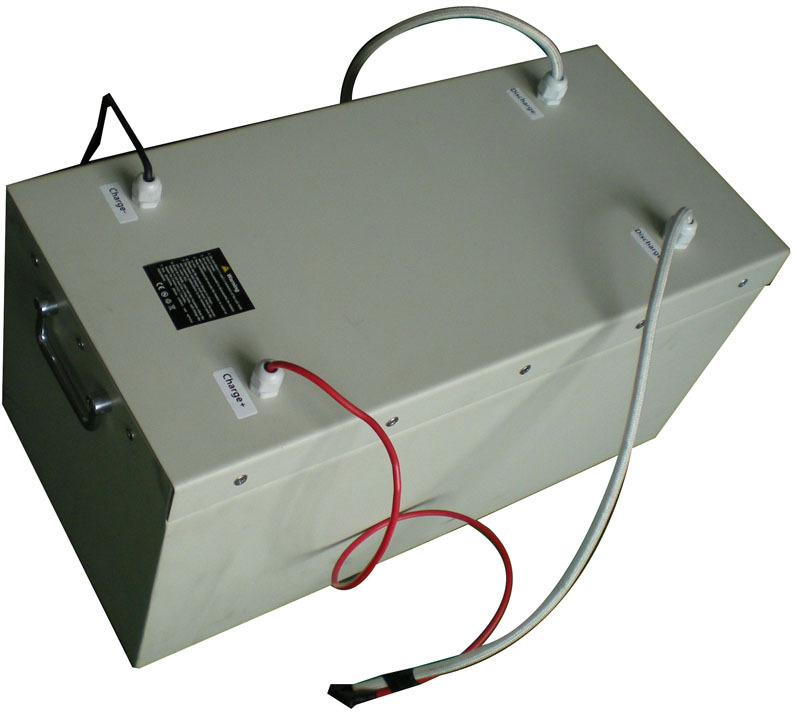 The BMS will monitor the cell voltage and prevent damage to the battery pack from charging or discharging. The FUSE is replaceable which is mainly for over current protection. Whenever the Module is under a abnormal condition the light indicators will be glow. Also the BMS offer relay output as 5V (or 12V if customized) for signal generation. The Relay can be triggered by the BMS to activate related components to cut-off circuit. 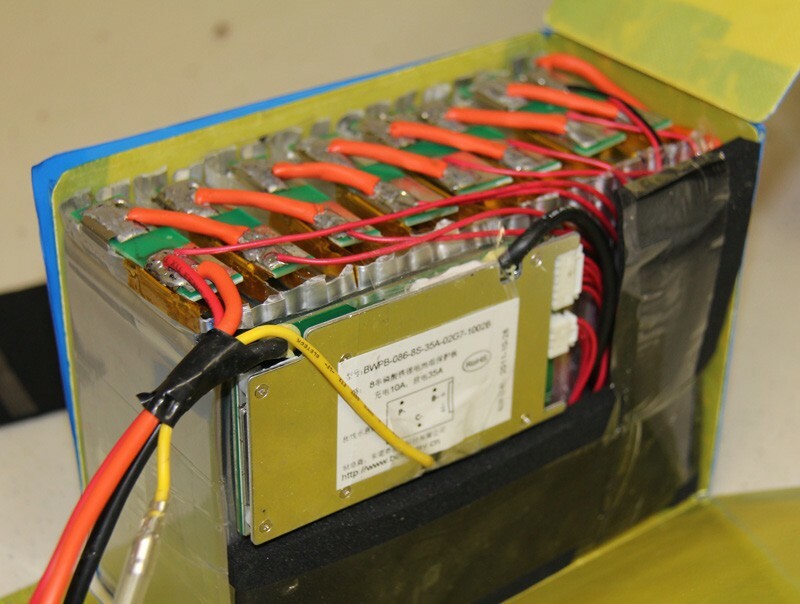 The weight of a 48V 100Ah battery pack is about 113 Lbs. The capacity can be increased if weight is acceptable. The module can have two (2) or four (4) wires coming out of the battery pack to the positive and negative poles on the 2 count option and both poles and the charger for the 4 count option. The pack has relay output for signal transform else has a breaker installed. A pack can offer any number of voltage and amperage possibilities. 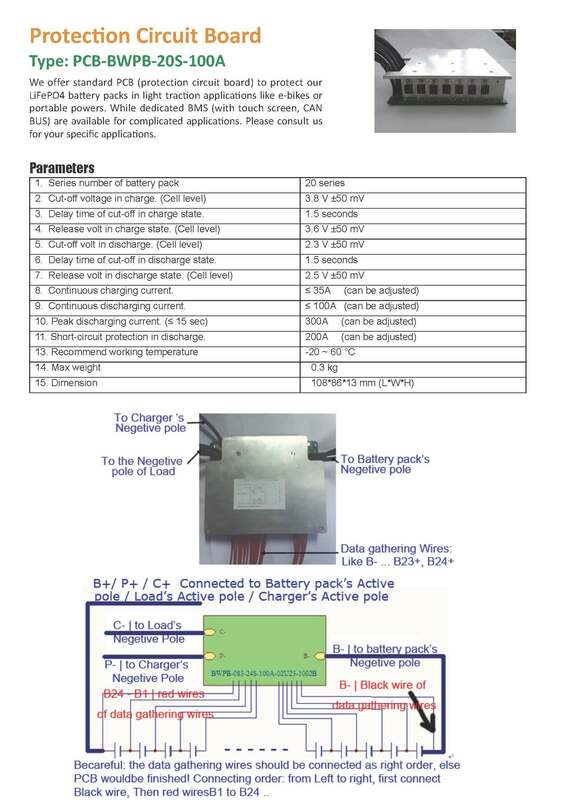 The working temperature for battery pack is -20 ~ 55C. While the best temperature to obtain best performance is 10~45C. Cycle Life: Bestgo has tested a cell that was randomly picked off the assembly line. After the accelerated equivalent of more than 12 years (4,400 charge cycles) of constant cycling this 10 AH cell still registered about 9AH. That is a very impressive drop of storage capacity after 12 years of about 10%. Comparison of Pouch Cells verses Cylindrical Cells: Many cylindrical cells only offer 1C continuous discharge, while Bestgo LiFePO4 pouch cell offer 3C continuous / 6C peak. This means that an electric bike or other small vehicles or apparatus will have much better performance in climbing, accelerating, etc. The vehicle user will feel the improved power difference. The pouch cell shape is wide and thin and therefore very suitable for big current applications. As a result the same current level pouch cell is safer than cylindrical cells. Reliability: As an example a 36 volt pack at 10 AH the user will only need 12 pouch cells welded together. If that same application were to use 18650 cylindrical cells, it will require 72 pieces of 1.5 Ah 18650 cells welded together. In a series string if any of the 72 cells have a problem the complete pack will fail. Also 72 cells means 144 nodes, each node represents one potential fault. So a cylindrical based pack is not as reliable as a electrically equivalent pouch cell pack which would only have 24 nodes. In addition the pouch cell welding procedure is much more reliable than welding cylindrical cells. Improved Energy Storage: A pouch cells energy storage capacity is much greater in a given physical space in comparison to cylindrical cells. Safety: Whenever either pouch cells or cylindrical cells have internal problems, pressure builds and they will swell up. In those infrequent situations pouch cells merely swell up. Cylindrical cells are traditionally encased in an iron jacket so that when the pressure builds within a cylindrical whose ends are held captive by other batteries or the case they can literally explode which could result in a dangerous safety hazard. Weight: Typically pouch cells weigh less than the equivalent prismatic or cylindrical battery. The flat pouch cell energy density is greater than other shaped cells. Uniformity: Bestgo's entire pouch cell line is manufactured by automatic equipment, thus eliminating human error in hand made cells. In between each step of the manufacturing process the cell is automatically tested. Bestgo has a special PDMS matching system that automatically checks each cell and allows their cells to have amazing uniformity and consistency. 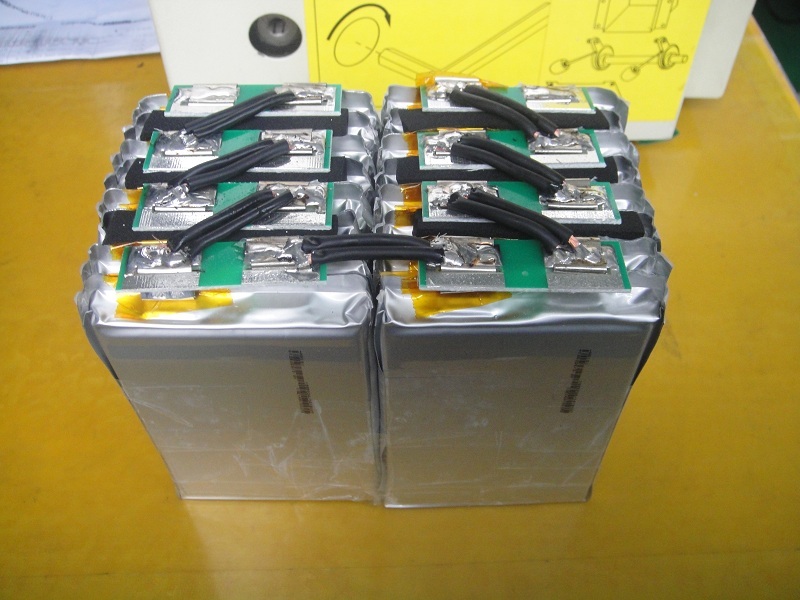 The BP-HKS series is one kind of Lithium Iron Phosphate pouch cell battery offered by Bestgo Battery Co., Ltd. These pouch cells have a very high energy density, long cycle life, and the ultimate in lithium safety. Their high energy density results in battery packs which are lighter and smaller. Longer cycle life means they have a lower daily cost of operation. The LiFePO4 chemistry is the safest battery available of all lithium battery chemistries. Thus, Bestgo takes pride in making this high energy density type battery available to fill some light traction applications such as e-bikes, e-scooters, portable power, etc. To ensure our battery quality, Bestgo starts by purchasing high quality raw materials and then assemble these materials on a production line using automated equipment, along with the latest in manufacturing processes and a high degree of precision quality control. For instance, our LiFePO4 battery processing, manufacturing and inspection equipment are directly imported from specialized equipment manufacturers in Taiwan. Other materials like separators are imported from qualified suppliers in Japan and China. Bestgo then uses laser equipment to detect the thickness in the coating process. This laser equipment communicates with the coating machine in a feedback system to maintain tight tolerances and make sure that no cells are produced outside preset limits. Bestgo also deploys a PDMS (Product Data management System) for quality control. Every step in the manufacturing process is checked, logged and judged, so that if a problem occurs it will be discovered early and any faulty product would be discarded. This automated attention to every step of the manufacturing process results in higher yields and ultimately lower production costs. Every cell produced at Bestgo?s factory is individually electrically tested on automated testing equipment and the test results logged into Data Management System. The results are that Bestgo can then offer well matched cells for battery packs. When we need to choose the best candidate cells for battery packs, Bestgo uses this Data Management System to calculate the cell's electric properties for the best selection. The testing parameters include the internal resistance, capacity, self-discharge rate, voltage and charge / discharge curves etc. These are the reasons why Bestgo battery packs have a superior quality over many other competitors. Bestgo offers battery packs with a Battery Management System (BMS) integrated into the pack if a customer orders these packs with protective regulated circuitry. This active balancing BMS network will transfer energy from the higher cells to lower cells in the pack when the battery pack is being charged or discharged. This balancing and control network assures the user that all cells will have almost the same voltage, capacity and have less chance of being damaged due to overcharging or over discharging. Price: In production quantities the cells will cost less than $1.40 per AH.